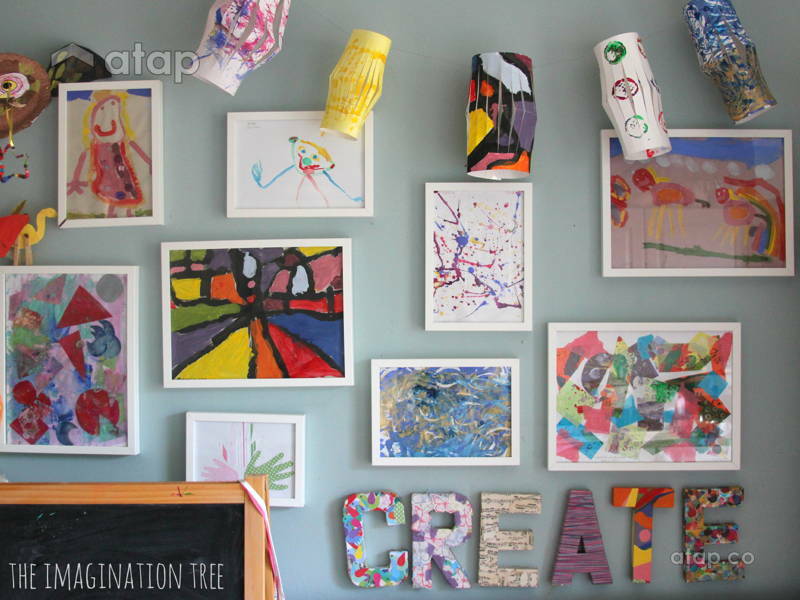 You don’t have to compromise your pretty home décor to display your kids’ art – here’s how. We love kids! Well, some of us and some of them. Their 46748957th drawing of you? Not so much. If you hear yourself saying “Honey, that looks amazing!” while inside you’re thinking “and just where am I supposed to put this? !” – this one is for you. 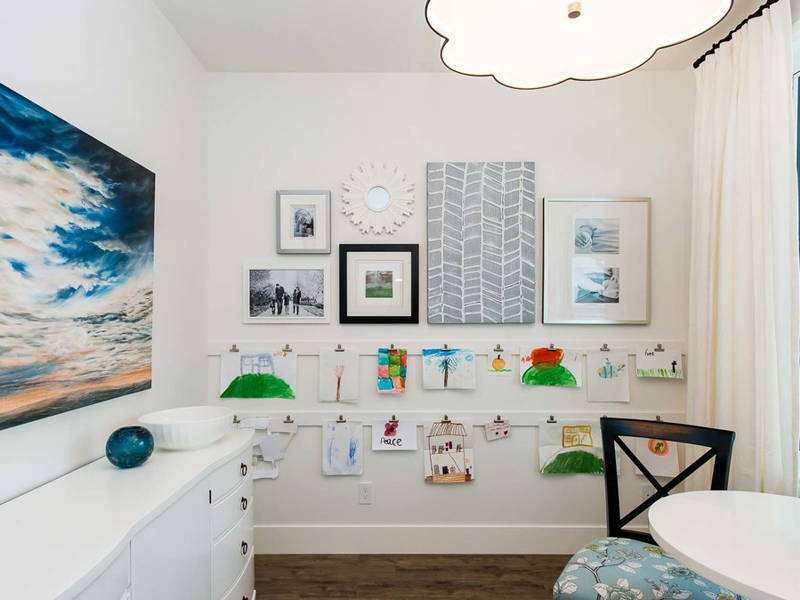 We like the idea of pinning our kids’ best art works to the refrigerator door; it lends an air of hominess and familiarity to a space where the family usually congregates. 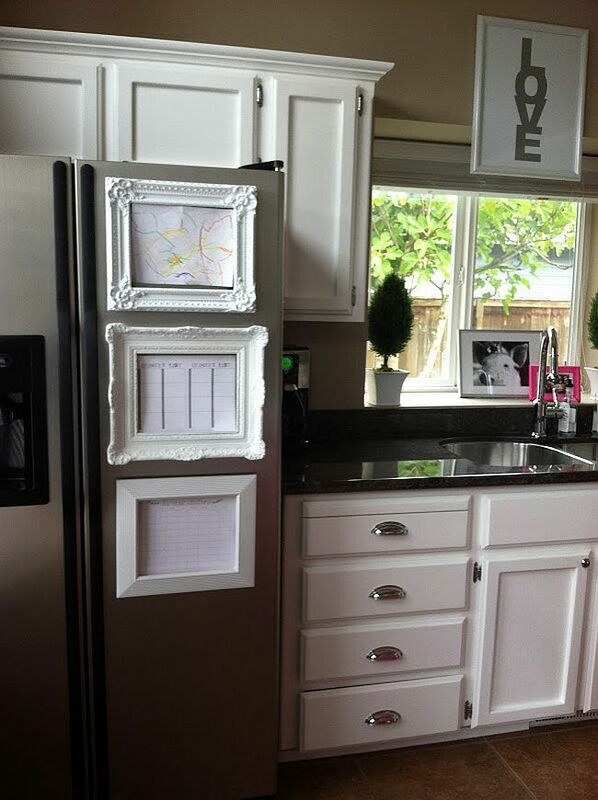 Instead of tacking them on haphazardly, look for magnetic picture frames that will give your display a sense of order. 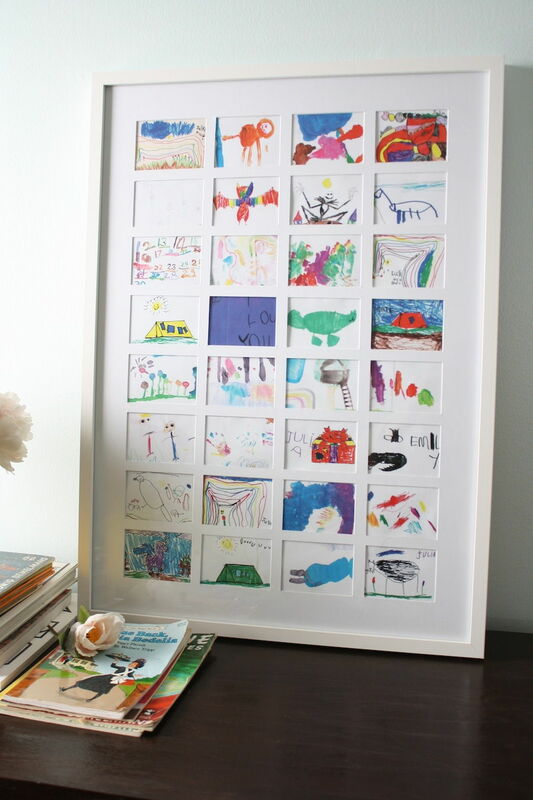 Scan and print out copies of the drawings to fit the frames – you can put up their best or most recent drawings here while opting for long-term displays (see below!) for other pieces. 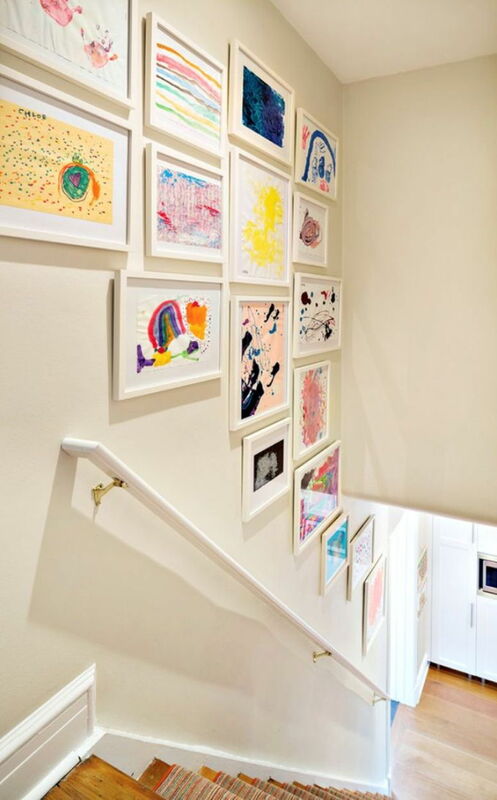 A gallery wall with frames in different sizes is a great way to put up your child’s masterpieces; these can go up on any blank space you have – kitchen, living room, bedroom, along the staircase. Intersperse with framed quotes or words on art and creativity! Alternatively, display your art on floating shelves. 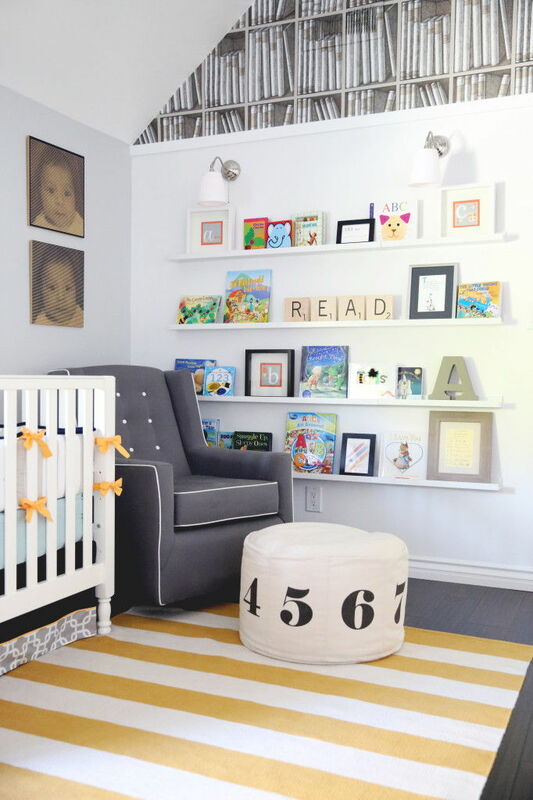 You can ditch the framed quotes for large letters wrapped in yarn and other knick-knacks. This works especially well if you’ve got different types of art – paintings, papier mache constructions, soap carvings, science fair projects, and so on. 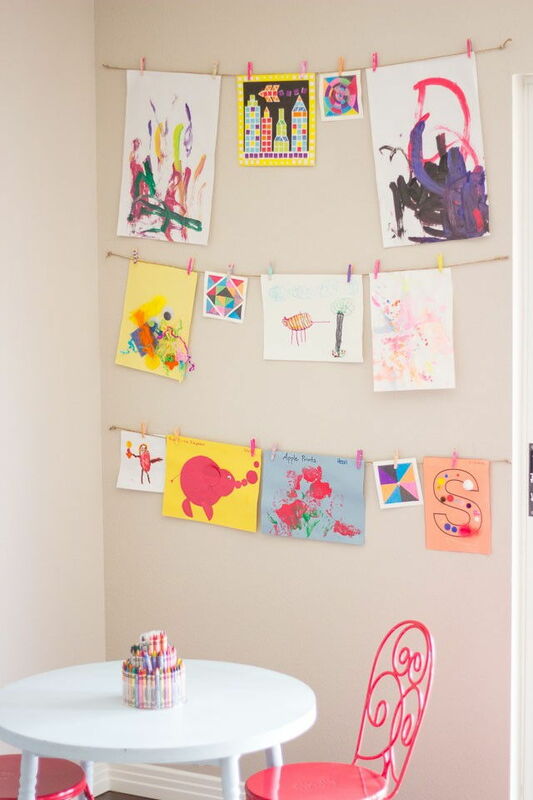 Stretch a strong strand of wire or curtain rod across a wall and hang your kids’ pieces with clothespins. If your child’s works are on different sizes of paper, give your display some structure with wooden pieces on either side. You can also frame your display with fairy lights! 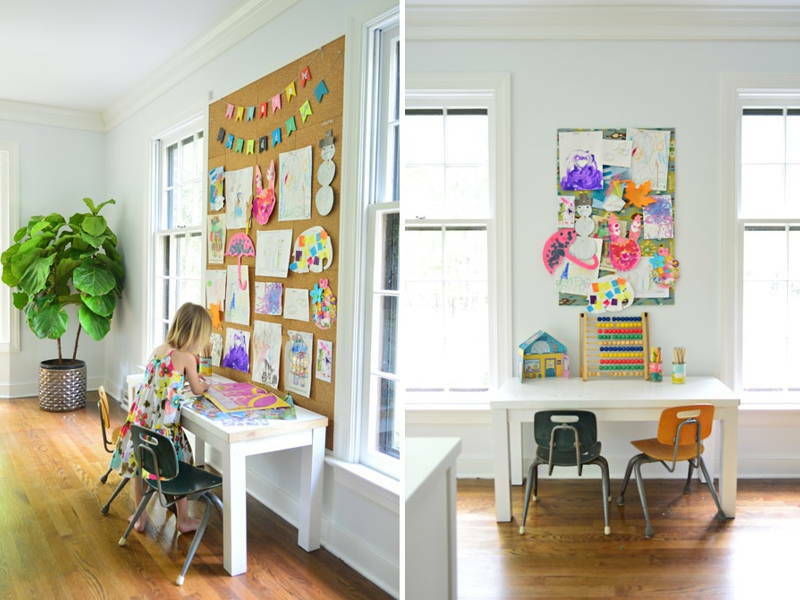 A corkboard is a great way to separate art pieces by different children; get your kids to customise their boards with their names printed in large letters. Have an especially wonderful piece of art? Most printing companies have services that will convert it into large posters and canvas prints for a one-of-a-kind display. 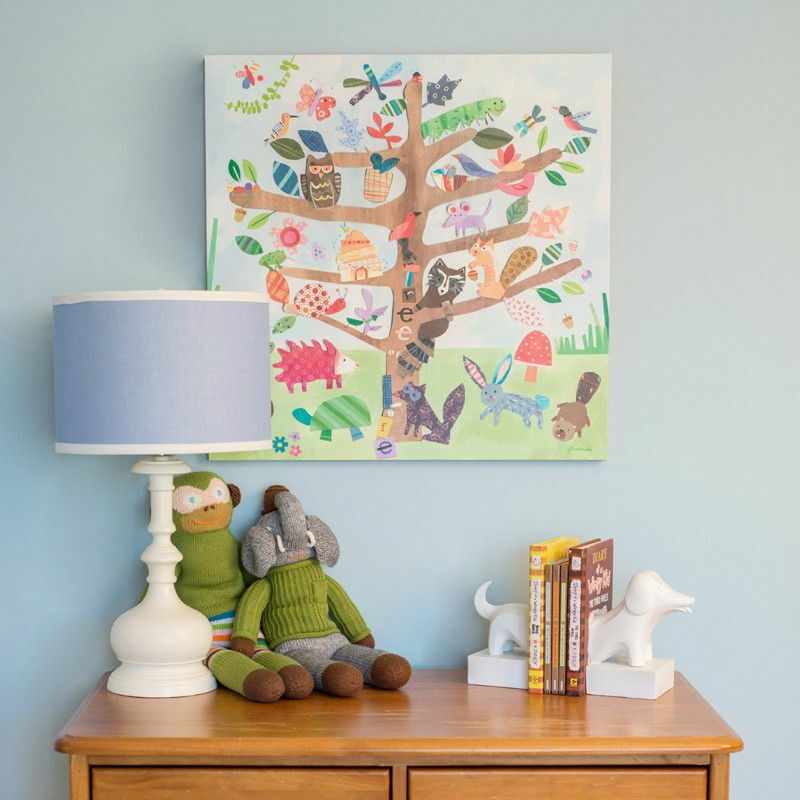 Instead of compiling different art pieces, teach your child about the ephemeral nature of true art – paint a blank wall with glossy dry-erase paint in their bedrooms so they can draw on as they please. Just remember to memorialise their best works with your camera! 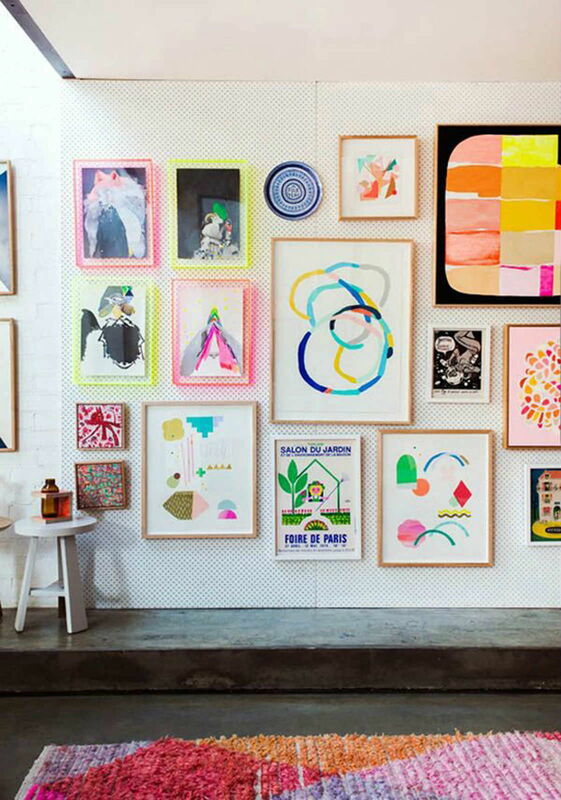 A collage print is ideal if your kid is past the age where they’re bringing home art for you. Most printing companies cater to such requests, but you can also make your own! Simply scan, resize, and print out drawings in business card size and paste them onto thick cardboard which you can then frame. 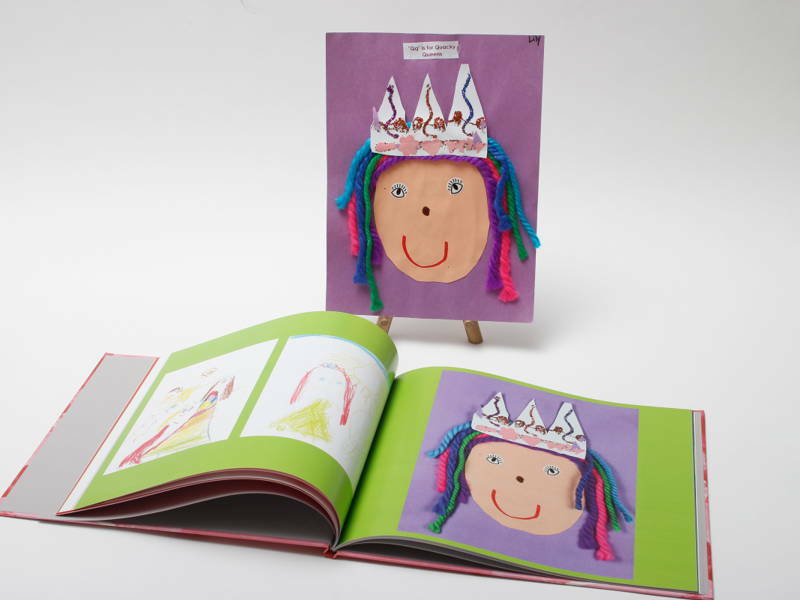 Take it down even further by compiling your child’s drawings in a photobook! These make great coffee table books and conversation starters; personalise your books with funny comments and notes. If your child also enjoys writing, this is a great way to compile all their creative works in one place. 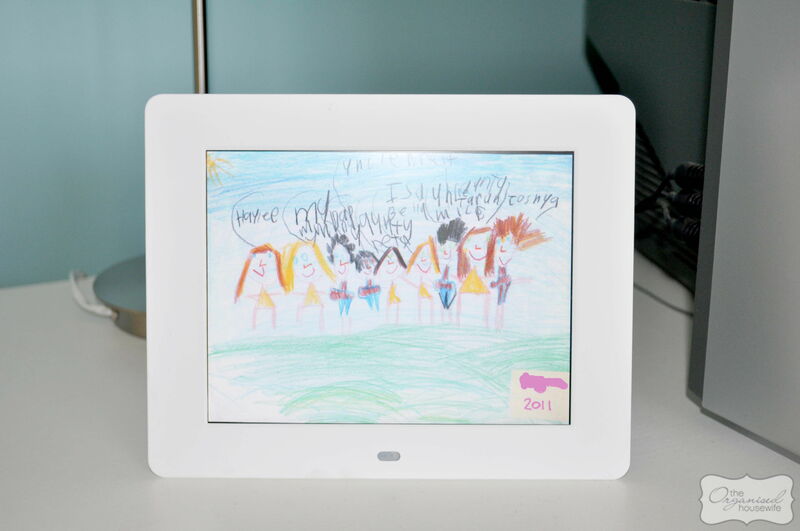 A typical 4GB digital frame can display more than 2,000 images – if your child has put in that much work in his or her craft, you definitely want them stored somewhere safe! You also don’t have to worry about losing their work to humidity, dust, and other environmental elements. 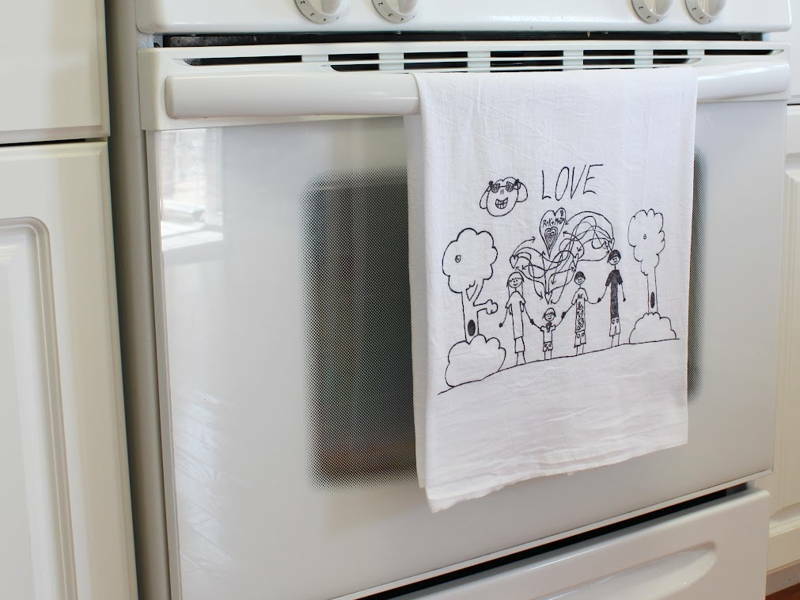 Transfer their drawings onto everyday items like t-shirts, tea towels, quilts, iron-on patches, cushions, or even wall or floor tiles! 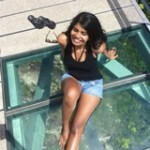 You can find printing companies that create personalised items with a quick internet search. 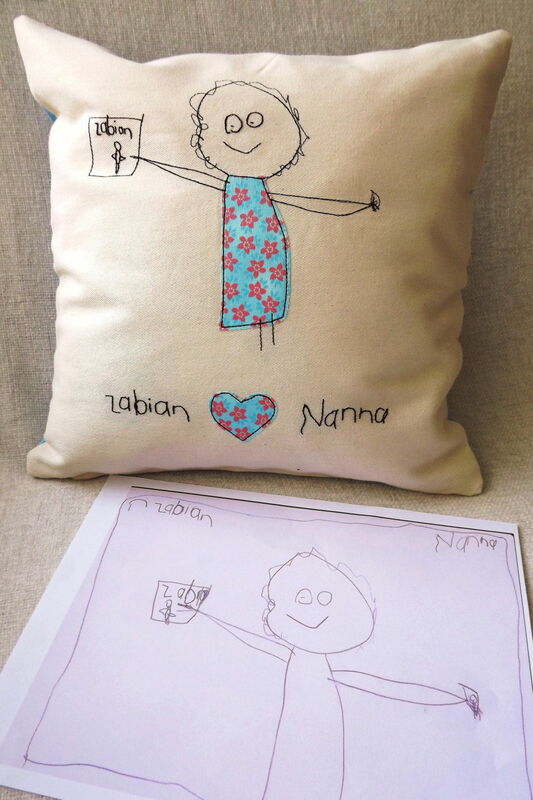 These also make great gifts for grandparents and godparents. 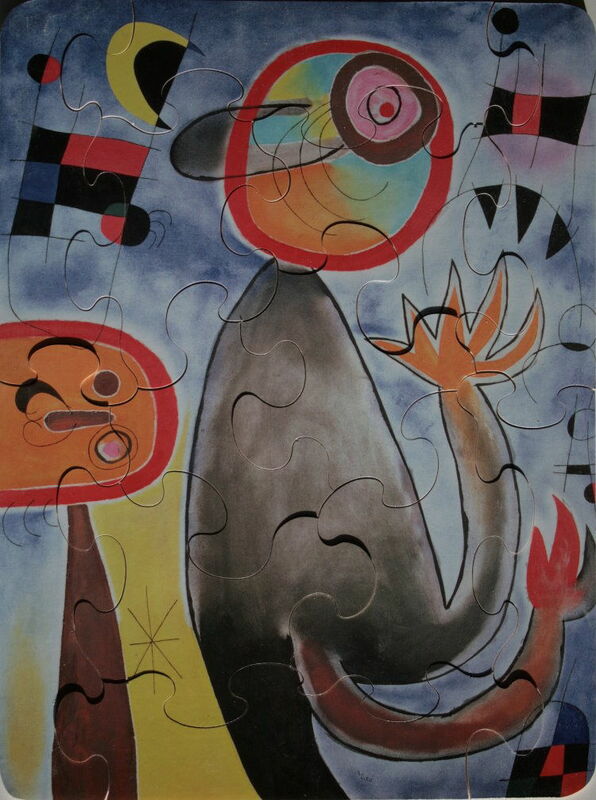 Even better, turn your kids’ art work into puzzles that can be played with forever and ever and…you get the idea. Keep away when not in use, or frame up once they get bored. You can also transform the jigsaw puzzles into other everyday items like keychains and pendants! We saved the best for last! 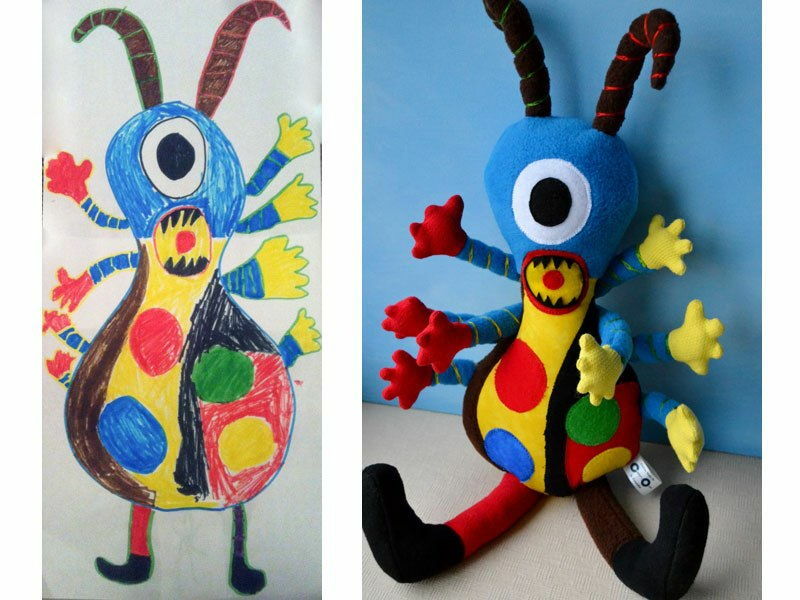 Companies like Budsies, Child’s Own, and Little Bo Baby turn artwork into stuffed toys so your child can carry around his masterpiece with him. Make a few and scatter them onto sofas, beds, and mantels.